The old saying "If It Ain't Broke, Don't Fix It" does not apply here. 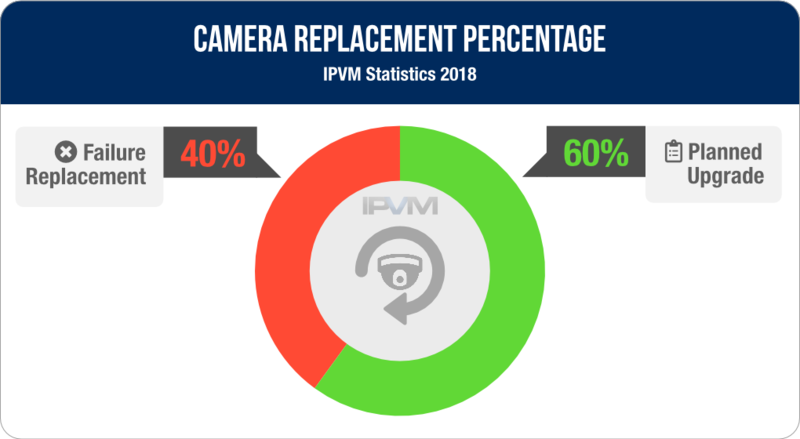 New IPVM statistics show that 60% of cameras that are replaced still work but are upgraded to newer and better technology. *** *** ****** "** ** ***'* *****, ***'* *** **" does *** ***** ****. *** **** ********** **** **** **% of ******* **** *** ******** ***** **** *** *** ******** to ***** *** ****** **********. ** ***** *** ***** *** ** ***** ****** ** ******* an ****** ****** **** * *** *** ****** ** *** failing. *******, **** *** **** ******, *** ** ****** ****** *** significantly ********* **********, ******* ******* ******* **** ***, ***** *** light, ********** ** **** ***** ****** *** **** **** ******* storage *** ****** *******. **** ******** **** ******** **** * 2010 *** / ***-** / ***-*** ****** ** *****'* *********. "**% *** ********. ** ******* ****** **** *******, *** **** cameras ** ******* *** *******. ** ******* ******* ******** ** utilize ******-**** ********* *** ******** **********." "**% ******* **% ******* ******* **** ** **** * **** time. *** ******** ****** ******* *** * *** ****** **** 5-10 ***** ***. *** ***** ** *** **** ** *****. Makes ** * ******* ****** ** *******." "**** ** *** ************ *** ******* ********. ******** *** ** old ** ****** **** ***** ***** *** **** *** ******* for * ****** ** *******. ********* **** *** ** ********* by **** ** ******** ******* ******* *** ***** *** **** discontinued ** * ******* ****** ******* ** *** *********. *.*. smart ******"
"**** ** *** ************ *** ********. ** ***** **** * lot ** *** *** ** ** ******* *** ***** ***** work **** *** *** ***-**** ***** ****** ******* ******* ** better *** ***** *********** ** ****." "** ******* ***** ********** *******, ***** ***** **** ******* ** critical ****. **** ****** **** ***** *** *** ********** ****'* there. **** *** ***** ** *******, ** ** * ** brainer ** ******* ******** ************ **** ******* **** ****** ******* with ****** **********, ***** ****, *** ***** ******." "*/** ***** ** ** ***** ***** ** **** ***** *** edge ********* ********** *** *** ****** **** ** *****/**** ********** at *****. **** *** ****** ********** ** ******* **** ** board ******* **'* ***** ******* ** ******* *** ****** **** to *** ******** ** ********." "**** ******* ******** *** ******** ** ******* ***** ******* ** add *********"
"** *** ** ***** **% ********. **** ********'* **** ** get ****** ********** *****, ******** ********* *** ****** *********** (***, etc.)." "** ******** ******* ******* ** * *** ***** **** **** often **** ******* *** ** *******.  ***** *** ******* **** is ****** ***, ** *** **** ****** ** ******* ** add ******** ** **********"
"**** *'* *** **** **** *** ******** *** ****** ********** or *********." "***% ******* *** ****** ********** ** ******* ****** *** ****** even *** ****** ******* **** ****** ****"
"*** ****** *******, **** ** **% ** ******* ***** *** reasons ** **** ** ***** *******." "**% *** ******** ****** ****** ** **, ..."
"***% ********. ****** ** **." "**** (**%) ** ** ** ****** ** ** ********, *** a ******* ********** *** ***** ** ** *** ** "
"** ********* **** ******* **** ***** ** * *******. ****** transitioning **** ****** ** **." "*** **** ******** *** ********, ************* *** ******** ** ** or *****"
"***** **% ** *** ******* *** ******** ** *** ****** systems." "** **** ******* ****** ** **, **** *** ** *** cameras ** ******* *** ********"
"**% ******** *% ********. *** ******** *** *** ** ********** from ****** ** ** ** ***** ** *** **** **** with **** ******* ** ** **** ********** ** *** *********." "**'** **** ********* * *** ** ****** **** ** ******. Some ** *** **** *** ** *** **** ********, *** not * *** **** ******. " "**% *** ******** (******* ****** ** **)." "** *** **** ***** **** ********* ** ******* ** ** so * ***** ******** **** ** *******"
"***** **% *** ******** ** *** ****** **** ** *** PTZ"
"****** ** ** *********** ***** ****** *** *** ****. ** are ********** ******** *** ****." "****** ***% ** ****** ************ *** **** ******** *** **. End ** ****, ***** ****** *******, ******* **** *******. **** upgrades ** * ****** ** ********** ** * ********* ******** tend ** ******** ** *** *** ******** ******* ***** **** are ****. ******** ***** **** ** ** * ******* ** the ***** **** ** *** ******* ******** ************." "**% *** ******** *** ** *******. ** ****** *** ** upgrade ** ** ******** ****** ****** ** *** ******." "** ** ** ******* ** ** ****** ** **** ****** if **** ******* **** ********** ****** ** *** **** **** we *** ********* *** ** ******* ** * *******." "**** **% ******** - *** ** ********'* *********** *** ******** systems"
"******** *** **** *** **% ** ******* ****** ***********." "*** *** ******* **** ** **** ******** **** *** ** failure." "****** ***** ****** *********** ** *** ** *** **** *******, and ******* ** *** ****." "**% ******** ** ** ***'* ***** ***'* *** **." " ****. *** ******** ******* *** ** ***** ** * failure." "**. *% ********. * ***'* **** ** **** **** "********" ** IP ******. ******* *** ********** ** **** ****** ** ******** cameras ***** ** *** ******* ******* **** ** *** ****." "** *** *** ********* *** ****** ***** ** *****"
"****** *** ******* ** ******** *** ** ***********. " "**** ** *** ******* *** ****** *** ***'* ******* * camera ****** ** *****. ** **** ******** * *** ** really *** **** ******* **** **** **** **** ***** ****** prime. " "** *** **** ******** ** **** ********* ** ******* ** cameras **** **** **** **** * ***** ** *** *****. Simply, **** **** ****** *****, *** *** ***** *** ******* for ***** ** ***** *** *******. ** *** ***** ** work (*******) ********* **** **** ******* ****** ** * ******** product *** ***** ** *** **** ** **** *** "*******" term. ** *** ****** ** **** ********** ** *-* ***** pending ***********." "**** *** ********. ******* ********* ** ***** *** ***** ** upgrade **** ** ********* ****** *** ** *****, ********** ** the ******* ** ********." "****** ***% ** ************ *** *** ** *******. ******* ****** upgrade *** ***** ****** *** *** ********* **. ******* ******* cameras **** ** ******* ******* *******." "**% ** ****** *********** *** ******** **** *** ******** ***** a ****** ********** ** ********* ****** **** *********." "**** ************ *** ******** ****** ** * *******. ** *** change ** ******* ******* *** ****** *** ** ** * good **** ** ******* *** ** ****." "* ***** *** **% ******* *** **% *******. ******* ** obvious *** ******** *** ******* ******* * ******* ***** *** started ******* ** **** ******* *** **** ****** ** **** or **** **** **** ******** ** ****** **********." ***** ** ** * ****** ** *** **** *** ** the ******** ******** **** *** ***** *** ** *** ******* upgrade. ** *** **** **** ** **** ** *** ** mindset ****** *** ******** ****** *** *********** ******** ** **** Manager. * ***** **** ***, **** ********* ******* ******** *** ********* more ******** ** ** **** ** ******** ********, *** *** mindset ** ********* ** *** ******** ******* ********* ** *** responses. ****, *********** *** ********** ******* **********, *********, ***/*** ***** ************, smart ******, *** *** *** ******* *** ********* (***** **** managable ***** - *** ****). ** *** ** *****, ******* ******** ** ********, ***, *********, are ********* ** ******** ** ****** ****** *** ***** ********* (Next-Gen *********, **-** ********* ********, ***. ********), *** ***-**-****/**** ******* from * ************ ** * ******* ********** ** ********. ***** ****** ******* **** *********. *** **% *** *** **** replacements *** ******* **** ** **** * ******** ** ********* that **** *** ****** ********** (*** ******* *** **** ******). The **% *** *** **** **** ************ *** *** ****** equipment **** ** **** * ******** ** ********* ***'* ****** wait ***** ******* ***** ****. *** ****** ******* *** **** difference ******? *** ****** ******* *** **** ********** ******? *** ****’* **** ******* ******** ** *** *****?